It's time for another screenshot from FNC's screencap showcase! 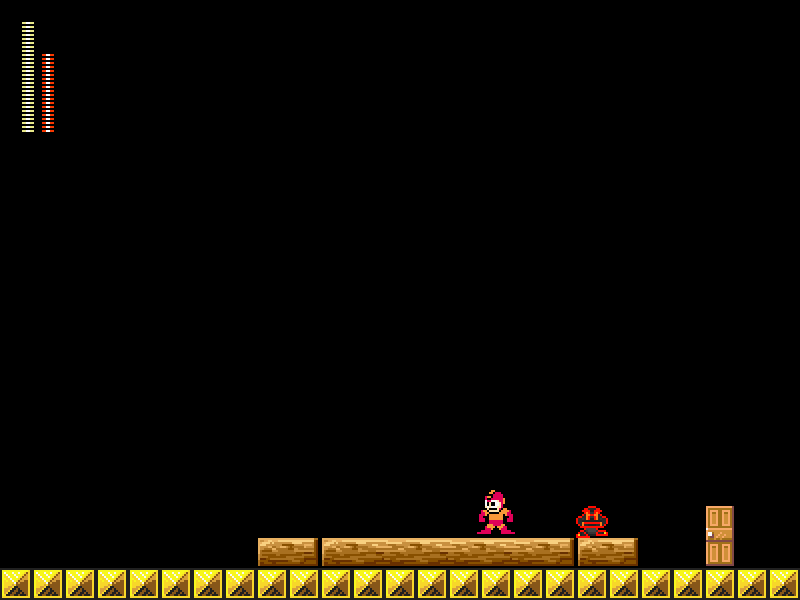 Can you guess what I'm using this time to edit the level? Topic: The Level of Stupidity SERIES by FNC2014! The Level of Stupidity SERIES by FNC2014! I'll upload the Level of Stupidity II on the forum anyway. I was working on this since April Fools. The background appears to have no shading and detail, try to fix that instead of 8bit colors. 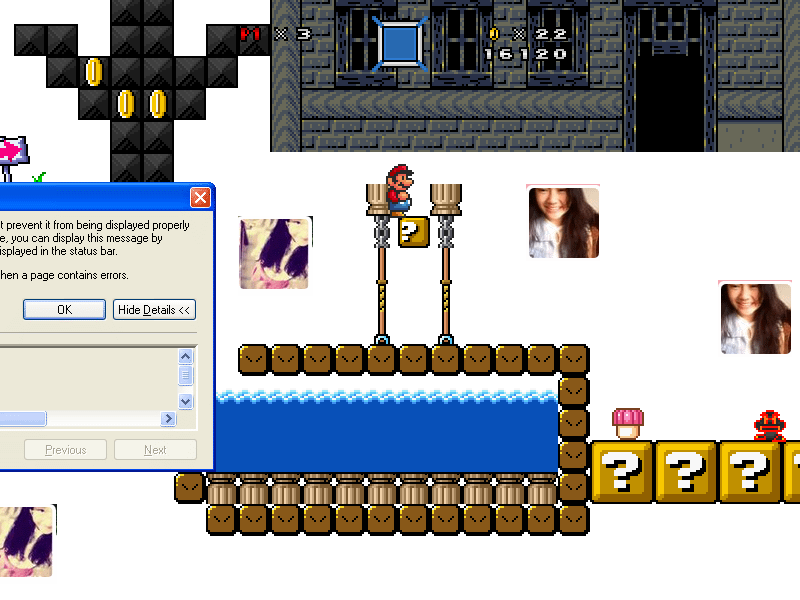 Watch out everybody, SEDNAIUR took SMB1 to the highest level ever. I'm going to download this, all those graphics look so neat! Radishl wrote: SEDNAIUR NEEDS TO MAKE A EPISODE! He's currently working on an episode - which is "Lowser's Conquest", if I remember right. Stickfighting in a maze won't do. Was so weird, though. Hi Kyo Saito, read the rules and enjoy your stay. I do not want to know what would happen if Ragont reads the new comic. But funky work anyway. They are actually boost blocks. Once Mario stands on one, it boosts his P-meter quickly allowing you to start flying in a smaller space. But anyways, good job though. I noticed that too. Seems that the phpbb system was kinda in a jam right now. Joey will fix this as far as I can know. 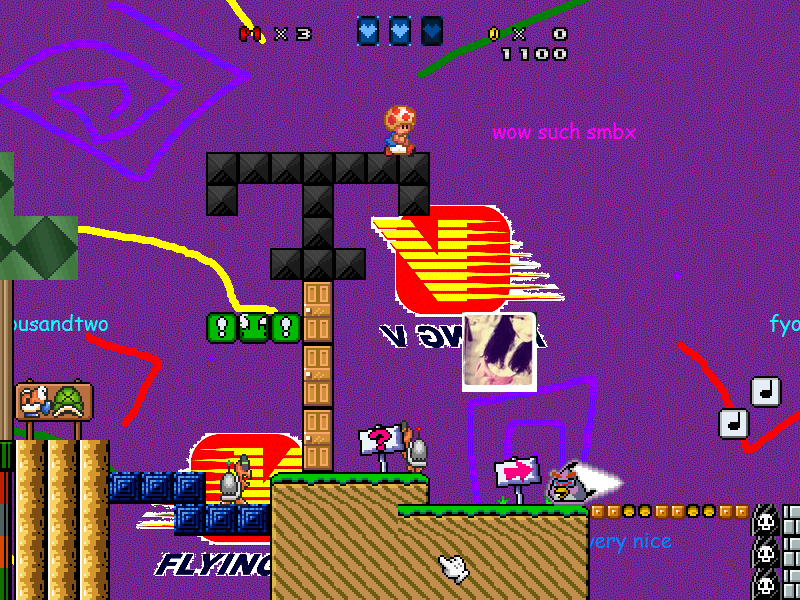 It's about time - someone is making a new SMBX! Are you going to make new NPCs and compatibility with other SMBX 1.3.0.1 levels? Thanks in advance! Re: New Super Mario Galaxy X - Details for v1.2!!! The update is currently in progress as said by Spark. Please wait first. Also, can't wait to play the new update, keep up the good work.